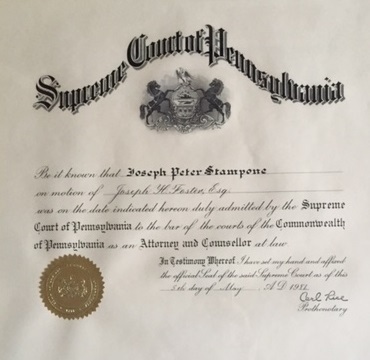 My son Joe, a Tuft’s University Economics graduate, was awarded his Master’s Degree in Real Estate last week from New York University. He is the author of a blog called A Student of the Real Estate Game. An entrepreneur by nature, his passion is real estate development with an emphasis on sustainable development and green building. Everywhere we turn nowadays, we are bombarded with “green this and green that” and the idea of sustainability. Many of you, including me, have probably wondered what does this really mean. In simplest terms, sustainability focuses on minimizing the impacts a particular industry has on our environment. In other words, sustainability is the capacity to endure and remain productive over time. Ways of living more sustainable can take many forms from reorganizing living conditions (eco-municipalities) to reappraising building practices (sustainable architecture and design) to basically adjusting individual lifestyles to conserve natural resources. I would like to think that much of Joe’s passion as an entrepreneur and in particular for real estate development has in some way been nurtured by projects developed by my brother Fred and I (FJ3 Development LLC). Hopefully, his social consciousness in being interested in green technology has also flowed from how Fred and I have raised our kids and how my parents raised us. Although the idea of living green is something very current, the reality is that it is not a new concept. A great example is my grandfather, Giuseppe, an immigrant from the region of Puglia in Italy. Grandpop had an incredible respect for nature and in his own way, an innate understanding of the delicate balance between production and consumption. Growing up, we were fortunate to spend every Sunday at my Grandparent’s house enjoying a feast created by Grandmom. Everyone shared in the bounty, my aunts, my uncles, and cousins alike. Typically upon arrival at Grandpop’s, he could be found in his garden tending to his tomatoes, peppers, lettuces, herbs, and all different forms of produce. His garden was immaculate. It was a thing of beauty and pride. But far beyond the mere fact that it was a source of pride, it was as much a connection with the land. He did not know it at the time, but he was a steward of that small piece of ground in Northeast Philly. He fertilized it naturally (thanks to the nearby horse farms), he seeded, irrigated, trimmed, and harvested, all the while producing on a very small scale, incredible fruits of his labor. Not just our family, but the entire neighborhood was lucky enough to share in his harvest. And guess what – his garden remained sustainable, year after year, salad after salad, pot of gravy (tomato) after pot of gravy. The beauty of what Grandpop started is that this connection to the land was passed on not just to his children and grandchildren, but to the entire neighborhood. How proud Grandpop would be to hear that my son Pete has been hired to be the General Manager of Max’s Harvest, a farm to fork restaurant opening in Delray Beach, Florida, on June 9th. Pete will be an active participant, much like my Grandfather, in spreading the farm to table gospel of what is now known as the Slow Food Movement. The emphasis will be on fresh healthy ingredients, locally grown, and simply prepared. Max’s Harvest will be the second generation of the New American food movement. Clean, simple, unadulterated food, that lets the land speak for itself. I can’t help but notice that it sure sounds like my Grandparent’s kitchen! I’m attending the pre-opening of Max’s Harvest this week and look forward to discussing the vision that was created by a few guys with simple beliefs. 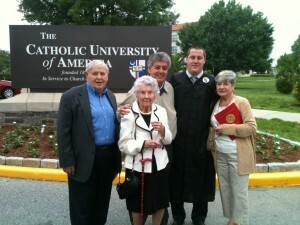 I recently attended my son Dan’s graduation from the Catholic University of America in Washington, D.C. It was a celebration in many ways beyond the obvious significance of Dan’s accomplishment. From my own selfish standpoint, it marked the graduation of our fourth child from college (not to mention two who have completed graduate school) and the elimination of an enormous amount of tuition. But more importantly, it was yet another celebration of family and all the blessings a family can bring. 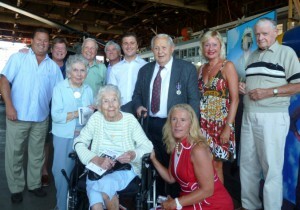 Much like the John Candy movie, Planes, Trains and Automobiles, our gang traveled from far and near to D.C. to honor Dan. His sister Nicole flew in from Fort Lauderdale; his brother Joey took the bus from New York City and sister Andi boarded the train from Philadelphia. Brother Pete, stuck in sunny Delray Beach, Florida, was with us in spirit and made sure he checked in with Dan to congratulate him. My wife Julia and I were lucky enough to chauffer the Suburban (thank you John Hagan) with Dan’s four grandparents in tow. How fortunate we are to have Bill, Bunch, Pete and Joan still able to not just attend, but to be a focal point in this celebration of family. Although they would not want their individual ages revealed, collectively they approach 340 years young and counting. The commencement address was given by Congressman John A. Boehner, Speaker of the United States House of Representatives. As he stood on the East Portico of the Basilica of the National Shrine of the Immaculate Conception, his theme focused on posing the question to the graduates, WHO do they want to be, not WHAT do they want to be. Fittingly, his talk was in the context of himself growing up in a large family. The oldest of 12 brothers and sisters, Speaker Boehner mopped floors and waited tables in his family tavern in Southwest Ohio while putting himself through college. With a strong legislative record of promoting excellence in education, he has also been an advocate and supporter of Catholic education. Which brings me back to Dan and Catholic University. Although our family has been raised in the Catholic tradition, Dan’s response was unique. It was not the response I would have expected from my other kids or even my wife or parents. 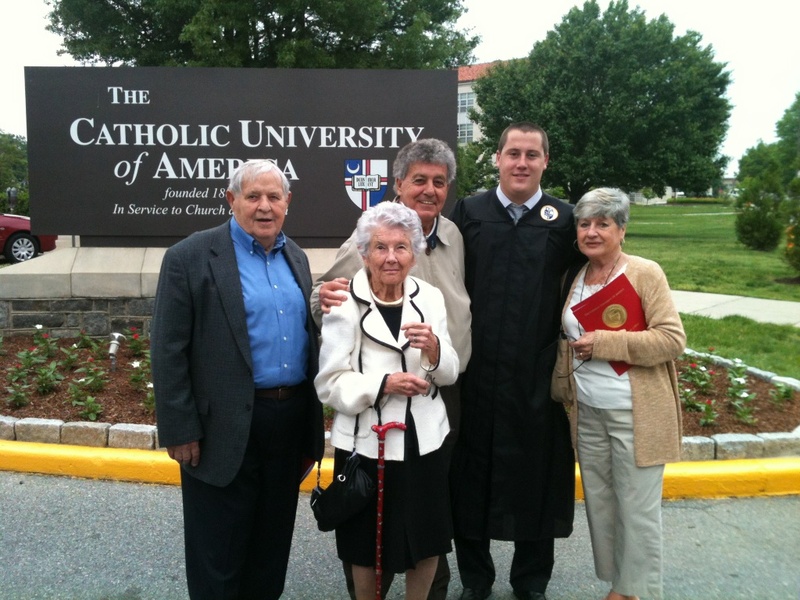 But it was a response that quickly made me realize the value of the education Dan had received at Catholic University. He had matured beyond expectation. His words, though few, spoke volumes about the “who” he had become. Compassionate, sincere, honest, strong, and grounded in his faith. This was not the kid we dropped off four years ago. And although Dan may not have fully figured out the road map leading to what he wants to be, he has resoundingly answered the “who”. 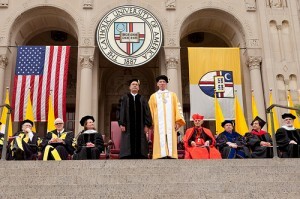 Catholic University has prepared Dan in a way few other institutions can. The University has stood over the years, and stands today, as the center of Catholic intellectual life in America. By compelling students to grapple more with WHO than WHAT, they have challenged their students to think rationally and to use their heart and conscience to guide their actions. As Speaker Boehner profoundly stated, “There are no apps for these skills”. Congratulations to Dan and thank you to Catholic University.